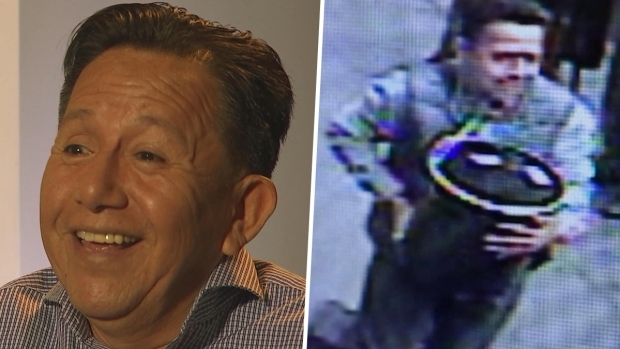 Surveillance video of Julio Nivelo's daring heist of a bucket of gold in Manhattan, first obtained by News 4 New York, was seen around the world. Now he's telling his story only to News 4. Note: Locations on map are approximate. Surveillance video of Julio Nivelo's daring heist of a bucket of gold in Manhattan, first obtained by News 4 New York, was seen around the world. But, in his view, the theft wasn't his biggest challenge. It was his escape. “My big feat, it was leaving the country without being caught,” he said. Click through the map above to see the journey Nivelo took, from the heist itself to a cross-country mission to elude the police. See his full story here. 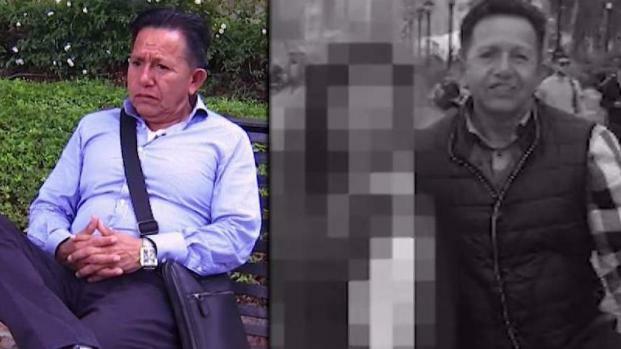 Julio Nivelo has gained notoriety in the country for the brazen heist in New York City, and now the I-Team has tracked him in Ecuador. The man known in his country as "The Golden Boy" is telling everything for the first time. Marc Santia reports in Part 1 of the I-Team exclusive "Confessions of the The Gold Bucket Bandit." The man who stole a bucket of $1.6 million in gold from an armored truck in Manhattan details how his stunning cross-country road trip to California and subsequent multi-country escape to Ecuador. Marc Santia reports in Part 2 of the I-Team exclusive "Confessions of the The Gold Bucket Bandit." Julio Nivelo insists his now ex-fiancée kept the $1 million-plus in cash he got from the gold he stole off the back of an armored truck in Manhattan, and won’t give it back. Marc Santia reports in Part 3 of the I-Team exclusive "Confessions of the The Gold Bucket Bandit." 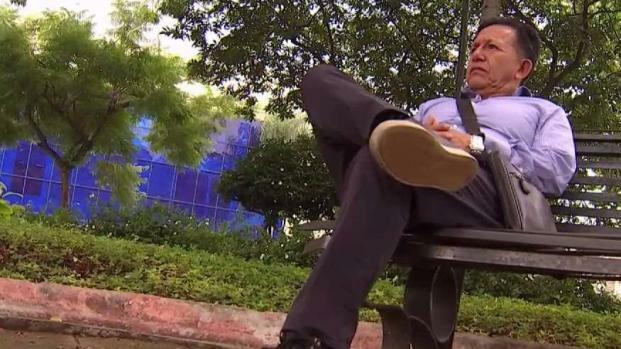 The man known in Ecuador as the "Golden Boy" is explaining why he is sharing his story. Marc Santia reports in Part 4 of the I-Team exclusive "Confessions of the Gold Bucket Bandit."